One new track plus 4 old tracks revisited with the Irish whistle, the Uilleann Bagpipes, accordion and the Irish bones. Every once and a while there comes along an album that steps out of the bounds of normalcy for the band that releases it. Previous rules are broken and new voices and sounds are explored. Stylistic rules that were thought to be hard wired are hung up to dry and new pathways of exploration are opened for consideration. 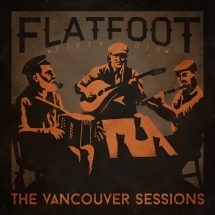 FLATFOOT 56's newest EP The Vancouver Sessions is just that kind of record. The album takes one new song ("How Long") and four older songs from the band's extensive library, and revisits them in a totally different way. Songs that were once hard driving punk rock anthems, get turned into thoughtful, and at times tender, reminders of what life can be if we slow down and take lyrics in. To help the band successfully cross the great divide between speed and flux to blur and slow, to melodic and beautiful, Flatfoot enlisted the help of veteran producer Roy Salmond. Salmond is the owner and operator of White Water Productions near Vancouver, BC and has been working with artists for over 30 years. 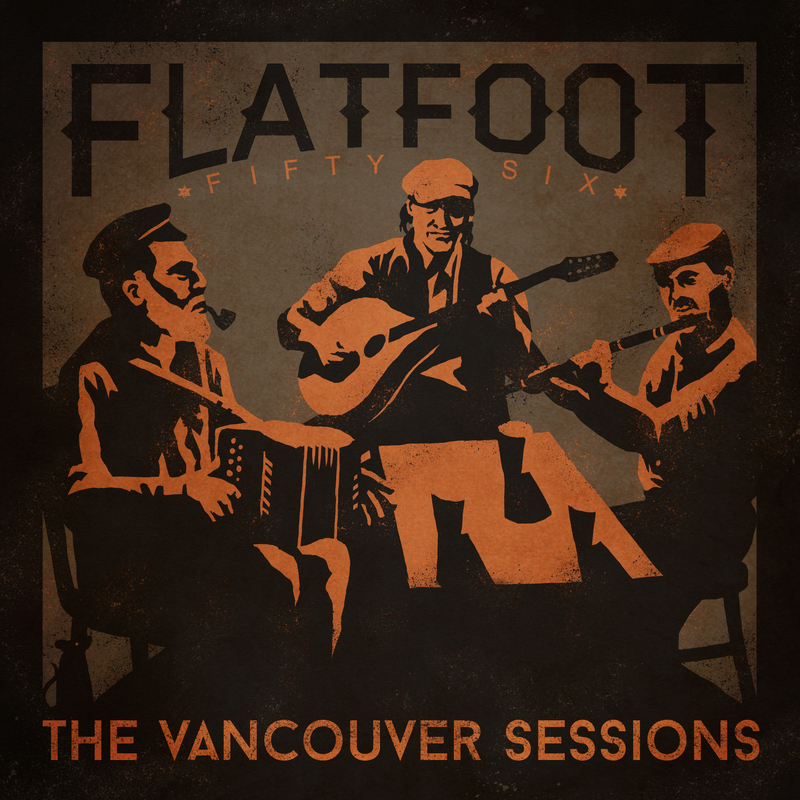 He invited the band to explore the tension that could be found between the gritty vocal sounds of Tobin (FLATFOOT 56's lead singer) and a more melodic reimagining of lines throughout the composition of the songs. Included in these new arrangements are traditional instruments like the Irish whistle, the Uilleann Bagpipes, accordion and the Irish bones. Together they create a raw, authentic and, for FLATFOOT as a band, out-of-the-box experience. While listening to this album it's important to be reminded that this is not a new direction for the band's future, but rather a short pit stop in their juggernaut-like punk rock career. A pit stop that will most assuredly be a joyful one.